In this quick tutorial you'll learn how to draw a Grey Fox in 8 easy steps - great for kids and novice artists. 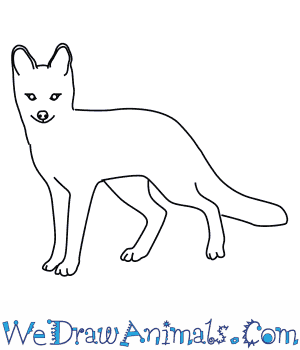 At the bottom you can read some interesting facts about the Grey Fox. 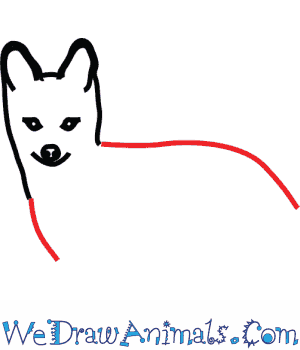 Step 1: Let's draw a gray fox! Trace two upside-down letter Us for ears, with a line in between to connect them. Draw a line coming down on either side of the Us for the rest of the head. 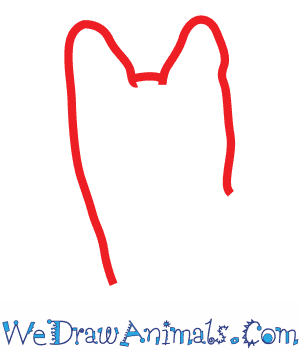 Step 2: Draw in some extra lines to accent the ears. 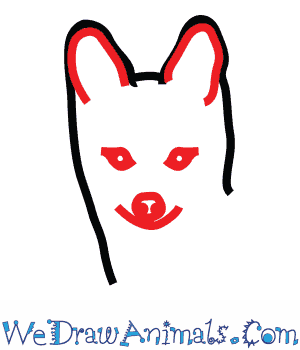 Then draw a small smile and a circle just above it for the mouth and nose. Trace two oval shapes for the eyes, making sure the ovals are laying on their side! Step 3: Trace a line across the back for the body, and a line going down the front for the neck. 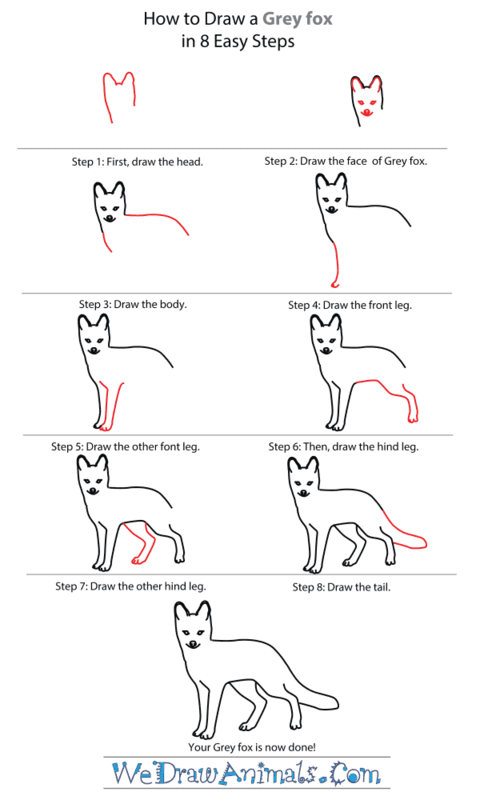 Step 4: Draw the front leg, now, by tracing a long line coming down the front. 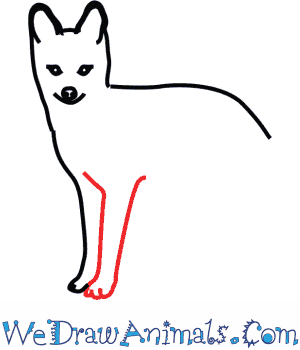 Step 5: Draw the second front leg by tracing along the first one, making two short lines at the end of the paw to outline the toes. 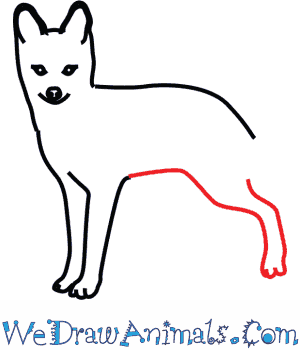 Step 6: From there, trace a short line across the bottom for the belly, and finish with the hind leg. 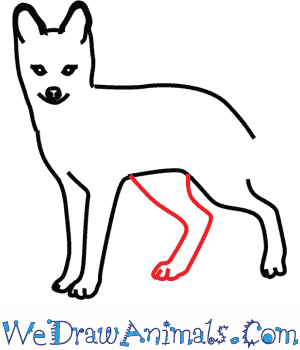 Here's a tip: make the lines into an L shape so that the leg looks really bent! 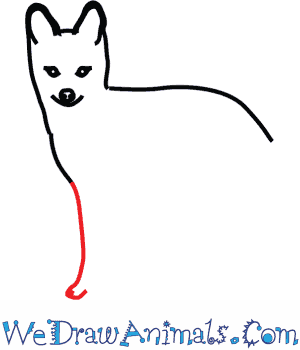 Step 7: Draw the other hind leg much like you did the first, with the bend. Step 8: Last, for the tail, trace a long tube-like shape that is bent. There's your gray fox! The Grey Fox likes to live in Southern locations. For example it lives in South America, southern parts of Canada, and southern parts of North America. The Gray Fox and the Channel Island Fox are the only two foxes left in their species. The Gray Fox used to show up more frequently on the Eastern side of the world, but the Red Fox is actually more common there now. You can easily tell the difference between a Gray Fox and a Red Fox because the Red Fox has “black stockings”, or black fur on its legs. The Gray Fox can easily climb trees! This is because it has strong claws with hooks in the end that allow them to easily dig into the tree’s bark. Being that it enjoys coming out at night to play, the Gray Fox likes to sleep during the day. Gray Foxes like to make dens in trees. Sometimes, you can find their dens thirty feet above the ground! When Gray Foxes and Red Foxes live together in the same area, the Gray Fox will be the dominant fox. 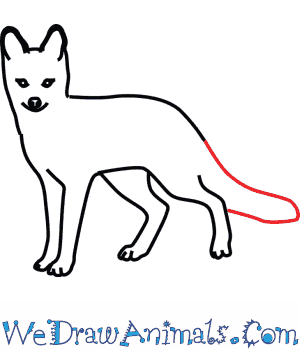 This means that you will see more Gray Foxes around than Red Foxes. The Gray Fox is also an omnivore, which means that it eats meat and plants. Depending on where the Gray Fox lives, its diet can change based on what’s around to eat.